Idiyappam or Sevai is a breakfast dish in South India mainly in the states of Kerala, Tamil Nadu and Karnataka. It is made with rice flour specially meant for it and a very healthy breakfast dish. It is steamed like idli and we can make variety of dishes with it. 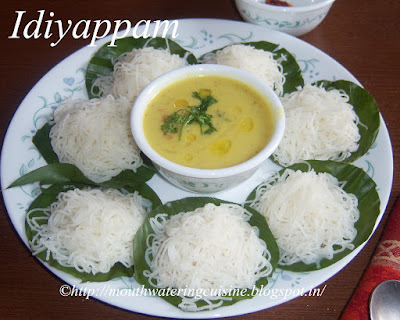 We can make lemon sevai, curd sevai, coconut sevai and also tomato sevai. 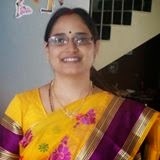 Though I am Telugu person I like almost all Indian vegetarian dishes. I would like to try them and serve my family. I have learned this dish from a Tamil friend. She told me to get idiyappam flour from store, but I tried with plain rice flour. I do not find any difference between them. She said that they serve it with non-vegetarian dishes, but I am a vegetarian so served it with pickle and Majjiga Pulusu. We at our home prefer to have it during dinner. Heat water in a thick bottomed vessel, add salt and oil. Allow water to boil, add rice flour. Mix immediately so no lumps form. Mix it well and make a smooth dough of it. In the muruku maker and place sev maker plate in it. Grease it and place some portion of the dough. Grease the idli plates with oil or place fresh banana leaves cut in round shape. Put little grated coconut in the idli plates and set them it aside. Press it in circular motion onto the already prepared idli moulds. Steam cook them for 10 to 15 mins. 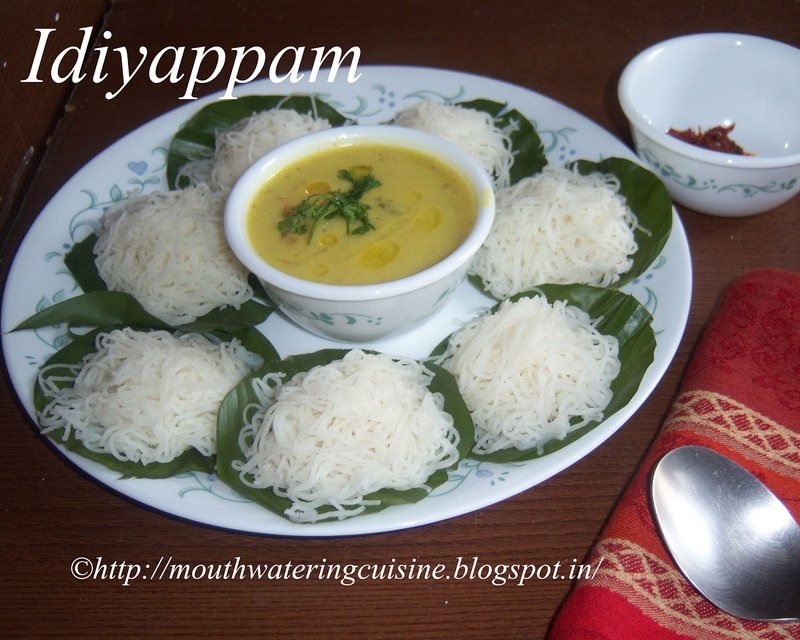 Serve idiyappam with vegetable stew or sweetened coconut milk. I served it with Majjiga Pulusu and Tomato Chutney. For more breakfast recipes click here. Thank you for visiting my blog. Hope you like all the dishes. Any feedback and comments are appreciated.